President Muhammadu Buhari will not implement the report of the 2014 National Conference convened by former President Goodluck Jonathan, The PUNCH has learnt. 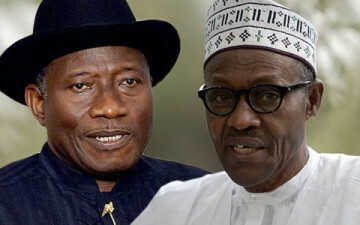 A top government official confided in our correspondent on Tuesday that Buhari was not favourably disposed to the implementation of the report despite the fact that Jonathan handed over the document to him alongside his (Jonathan’s) handover note. Jonathan had, during his handover ceremony on May 28, told Buhari that the confab report was more important than his handover note. Shortly before he left office, the former President had forwarded the report to the National Assembly for action. But the Presidency source told one of our correspondents that Buhari would not implement it because he never believed in the conference. Rather, he said the President would stick to the recommendations of his transition committee led by Ahmed Joda. The source also recalled that the ruling All Progressives Congress which was in opposition during Jonathan’s administration did not take part in the conference despite the fact that its leadership was formally asked to send representatives. He said, “President Buhari never believed in the National Conference. His position is not different from that of his party, the APC, which snubbed the invitation to send representatives to the confab. “The conference and its report are Jonathan’s babies and you won’t expect this administration to implement the report, especially in this era that all we have been doing is to try and clear the rot left behind by the same administration. Jonathan, had during his different meetings with traditional rulers from the South-West ahead of the March 28 presidential election, promised to ensure the implementation of the conference’s report if re-elected. He had argued that since the APC refused to take part in the conference, a government formed by the party would not implement the report. Apparently confirming Jonathan’s position, Buhari had also at a time taken a swipe at the Federal Government over the conference, saying that billions of naira was spent on it.